The American Advertising Federation is made up of Advertising, Marketing and Public Relations professionals, media and business owners. As the advertising industry begins to strengthen across the various platforms, the local affiliate of the longstanding American Advertising Federation sees this as an opportune time to make a push to grow its membership by appealing to a broader base of businesses in the region. The Space Coast Chapter of the American Advertising Federation has had a presence in this market for more than 30 years, long being the association known for bringing together area professionals within all facets of the industry. Chapter members represent advertising agencies, marketing firms, web–design businesses, print publications, video–production companies, promotional products retailers, information technology ventures, and other types of entities. 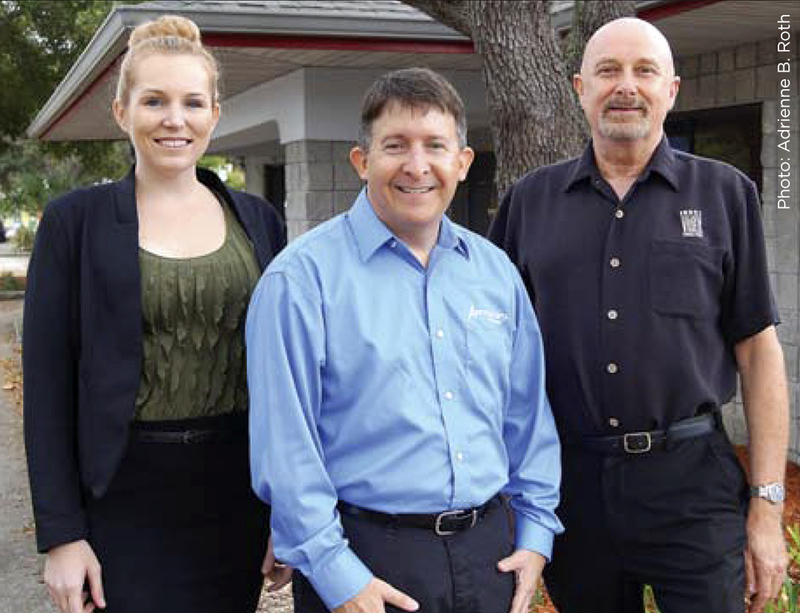 “Our tagline is, ‘If you are in business, you are in advertising.’ The Space Coast Chapter’s focus this year is to reach out and try to pull in a broader base of the business community as members of our organization,” said Eric Needle, the 2015–2016 president of AAF Space Coast and the marketing director for Artemis—The IT Company. AAF Space Coast’s Madison Conradis (President Elect), Eric Needle (President), and Bill Williams (Government Relations) at Artemis IT in Melbourne, FL. Annual membership in the Space Coast Chapter starts at $80. threefold: to see area businesses use the chapter as a resource; to see the sizable businesses in the region contribute “time, talent, and treasure” to gain value; and to offer scholarships to area students seeking degrees in marketing, communications, and advertising–related fields. Through the recession, a lot of businesses tried their hand at crafting their own advertising strategies and producing their own marketing and promotional materials. “As the economy improves, I think the day of ‘do–it–yourself advertising‘ is over,” said Needle. Madison Conradis, marketing director of Your Logo by Geiger, a full–service promotional products company in Melbourne, is the president–elect of AAF Space Coast. Conradis is a second–generation Ad Fed member. Her mother is longtime area entrepreneur Cathy Bell, owner of Your Logo by Geiger. For more information, visit aafspacecoast.org.